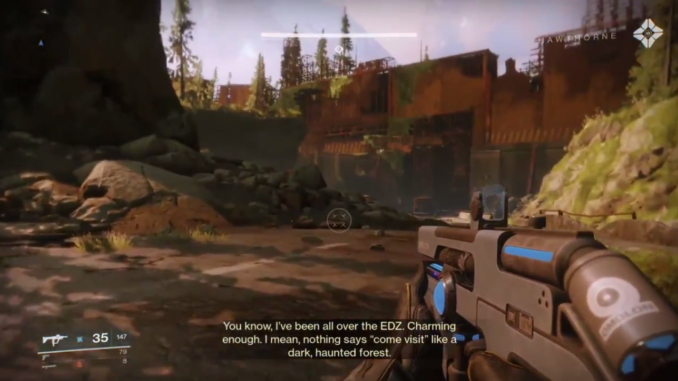 This page contains a walkthrough for Mission 3 Spark in Destiny 2. The walkthrough contains a guide on how to get through obstacles and enemies in the area. At the start of Mission 3 Spark, you will be at the Marauder’s Grotto. Head along the path ahead. You would have to constantly use your crouch ability to get through tight areas in the map. Continue going along the dark tunnel, then you will eventually get a message instructing you to switch to your Power weapon. Eliminate the enemies ahead the path by using the weapon. After defeating the enemies, climb to the other side and head through the tunnel. 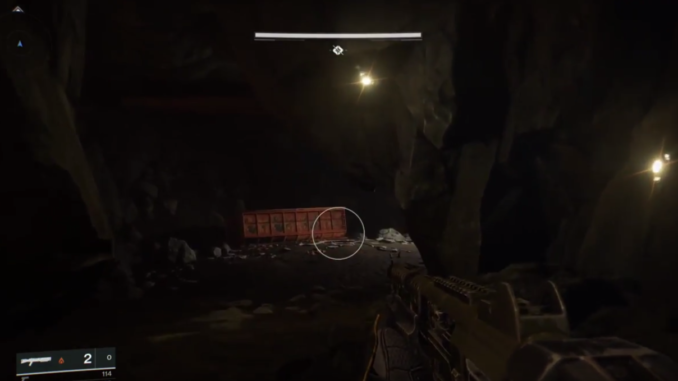 At the entrance of the mine, there is a loot chest. Open the chest and proceed further into the mine. You will come across a set of stairs at the end the of the mine. Go up the steps until you reach the balcony leading to the Dark Forest. From the balcony, jump down and you will be at the entrance of the Dark Forest. Proceed downhill and follow the fire that emits from afar. Be careful of the Cabal Ship around the area. Once you’re near the fire, eliminate the Fallen Dregs. Take them out using your long range weapon. There will also be a Marauder in the area, so prepare to take it down in order to proceed to the next path. After eliminating the enemies, head towards the ravine and eliminate the Fallen Dregs, Wretches, and Marauders that will block your way. Keep heading towards the goal until you reach a few enemy Captains blocking your path. Eliminate them by juggling through each weapon energy types in order to take down their shields. Once you eliminate them, prepare to face the first boss in the game, Skriviks the Sharped-Eyed. Skriviks, the Sharp-Eyed will appear at the end of the mission’s path after you clear the area of a wave of Dregs and Wretches. Skriviks is armed with a powerful gun, as well as an area-of-effect explosion when you are too close to him.